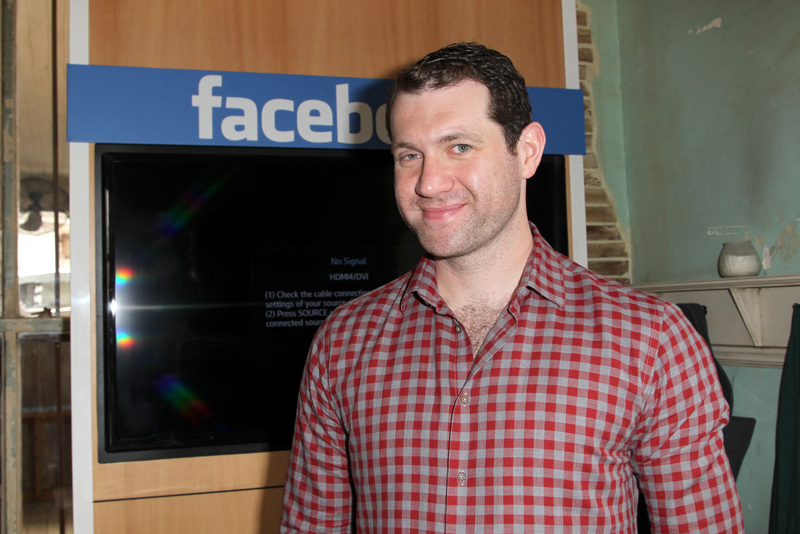 As any Parks and Rec or Billy on the Street fan knows, Billy Eichner has a lot of anger, and he likes to deal with it very publicly. In a new clip from his Fuse series, Eichner and Lindsay Lohan destroy a car, all in the name of How I Met Your Mother. With this latest stunt, Eichner may have gone too far, because odds are, Oprah is going to pissed — and she is one person you do not want to upset. It all sounds very strange: What does Eichner have to do with How I Met Your Mother and Oprah? The comedian often has celebrity guests join him as he runs through the streets of New York screaming about pop culture to innocent bystanders, but Lohan's appearance on Billy on the Street took a much more unique and aggressive approach. Apparently, she and Eichner share a love of CBS' HIMYM, and a huge amount of anger at its upcoming series finale. So how does Eichner help the recovering star sort through those strong emotions? Perhaps a long conversation and some chamomile tea? Of course not. They take sledgehammers to a car covered in photos of the HIMYM cast, a method I doubt Oprah would endorse for the star of OWN's latest reality series — and her own personal redemption project. But even if the video's not one of Oprah's favorite things, it will probably be one of yours. The angrier Eichner gets, the more hilarious he becomes and watching him and Lohan taunt the smiling photos of Jason Segel and Josh Radnor is more entertaining than it has any right to be. By the time the pair spends a full 30 seconds screaming that Lohan has worked with Lily Tomlin, you're guaranteed to be a Billy on the Street fan for life. Watch the video below, it's worth the risk of being on Oprah's bad side. And if that wasn't enough to sort out your feelings on HIMYM's March 31 end, watch Eichner scream about the show to random New Yorkers while Neil Patrick Harris jogs alongside him.